For the past years I’ve been a web developer. As time passed and I’ve learned more and more about web and the technologies powering it, it became easier for me to understand why security vulnerabilities happen, how attackers could exploit them and how to fix them. I’ve started to pay more attention to security, I joined Cyber Security Research Center from Romania and got involved in the organization of DefCamp - the most important conference on Hacking & Information Security in Central and Eastern Europe. 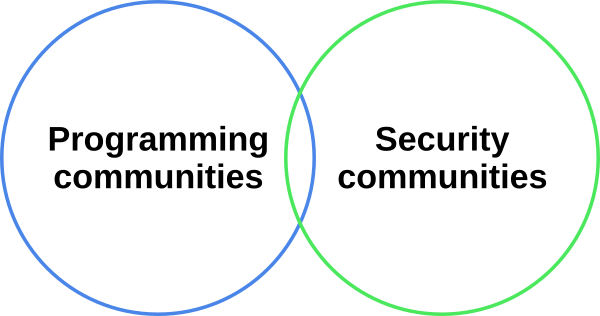 Now here’s the problem: while all the security communities, events and conferences do a good job on raising the security awareness, they fall short on fixing the root cause of security failurers: proper education for programmers with concrete examples on how the vulnerabilities are being introduced into the code and how to fix them. We do indeed have a lot of informational resources but most of them either require a deep understanding of web technologies either are not accessible or not publicly available. Consider for example the OWASP article on XSS (Cross Site Scripting) Prevention Cheat Sheet and let’s take a look at RULE #1. The page provides indeed good technical reference on where and what should be escaped. It contains no practical examples aside from the ESAPI reference implementation which makes it pretty impenetrable for a junior programmer. This is the problem Security Espresso is trying to solve. Programmers should have access to this information along with code examples. This should not be limited to only a particular language or framework, not even limited to web technologies: everyone is welcome. There is an old joke about how programmers are systems which turn coffee into code. Then if you look around and take in the piling news containing words such as “breach”, “exploit”, “vulnerability”, “hacking” you end up wondering: what are they putting into that coffee? What coffee is it that produces exploitable, breakable, flimsy code? Maybe if we’d increase the caffeine concentration, that would produce foolproof and secure code? What we hope to achieve, within Security Espresso, is to create and share the kind of knowledge that will shed light into every nook and cranny of writing secure code. We want the people writing code to be able to understand, be confident that their work can withstand attacks, survive them; we want to make sure the next systems being built are free of the flaws which are exploited today. And we absolutely need all this information to be free, and accessible for everyone. Just like there’s no great water-cooler story that starts with a salad, we believe there’s no learning experience that starts with “just trust me on this”. Join us and let’s spread the knowledge to all those who need a good, warm espresso during those late nights. Security Espresso GitHub organization where we will be publishing all the information. As you can notice, we decided to use GitHub instead of a wiki. Although both use markdown, GitHub-flavored markdown is better known among programmers, and almost every programmer has a GitHub account and can contribute. All the information is published under the Creative Commons Attribution-ShareAlike 4.0 International License. Can you spot any vulnerability? If you did, good for you! However this might be tricky to spot and if you didn’t - read on. Heads up: There’s also a known vulnerability when using GBK charset which actually affects PDO as well, but it requires a very obscure edge case and is entirely another story. You can discuss these in greater detail on the community groups and on the GitHub page!